Paper white bulbs have become a staple for our holiday decor. It is so much fun to plant these little guys and watch them grow and bloom. What is even better, is how simple they are, no green thumb required! The bulbs only need about 3-4” for the roots, so lots of different shape and size containers work really well. You can plant your bulbs in multiples or simply just one. The paper white bulbs can be planted in either little pebbles,soil or decorative pieces of glass. Place the bulb with the large side down and the thin part at the shop. Place just enough water in the container so that the very bottom of the bulb can touch the water, but the bulb is not sitting in it. The bulbs will need lots of sunshine or the greenery will grow and get leggy searching for light. Within a couple of weeks, you will see beautiful new lovely roots! The buds and blooms will not be very far behind. Generally paperwhite bulbs will bloom 3-4 weeks from time of plants. With its dramatic blooms another popular holiday bulb is the amaryllis. They come in a variety of size and colours! Amaryllis prefer to be planted in a good quality potting medium. Fill your container with enough soil to cover to the base of the neck of the bulb. Place your container in a bright spot to get lots of sun. Water minimally when the roots are growing and more often once the leaves have sprouted. Generally amaryllis bulbs will bloom 7-10 weeks from time of planting. 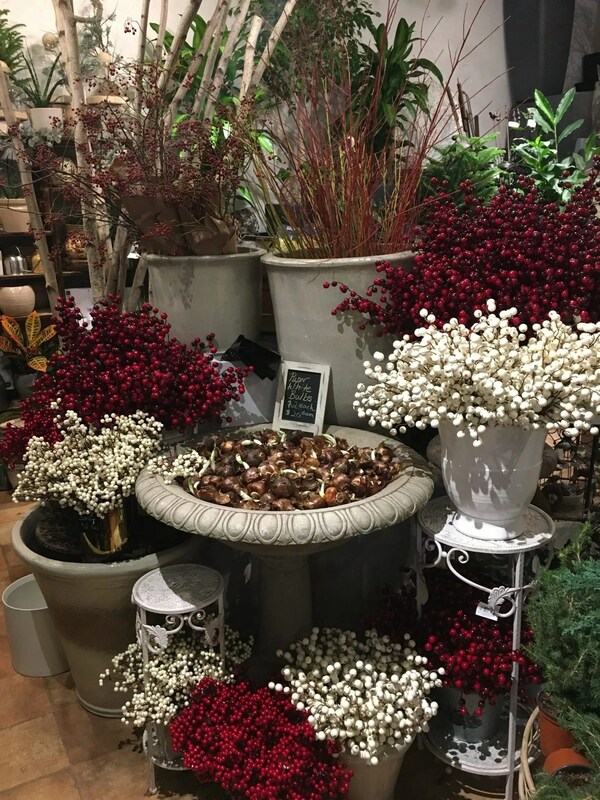 Stop by our store at 282 Richmond Road in Westboro to see our full selection of holiday bulbs!